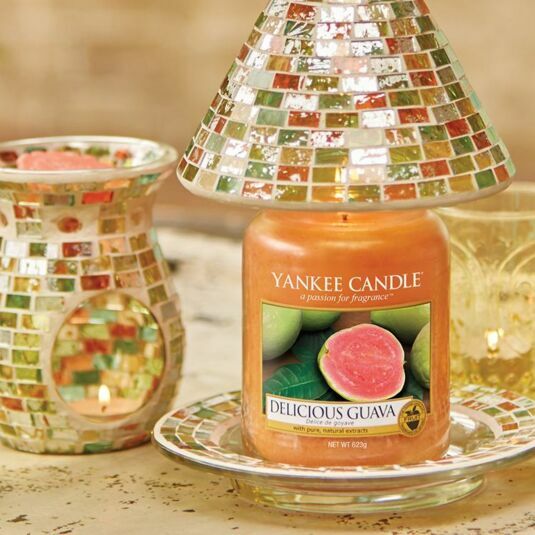 The delicious fragrance of fresh juicy Guava fruit with a lush tropical scent combines top notes of Bergamot and lemon with a fruity middle layer of peach, guava and mango over a sugary base. 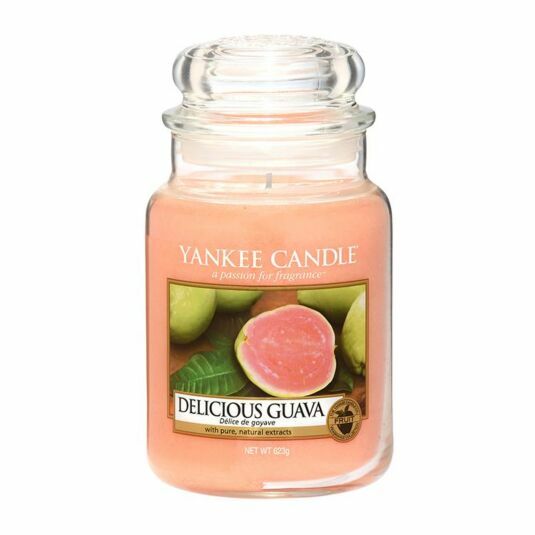 The intoxicating exotic fragrance will be released as this peach-coloured candle burns. 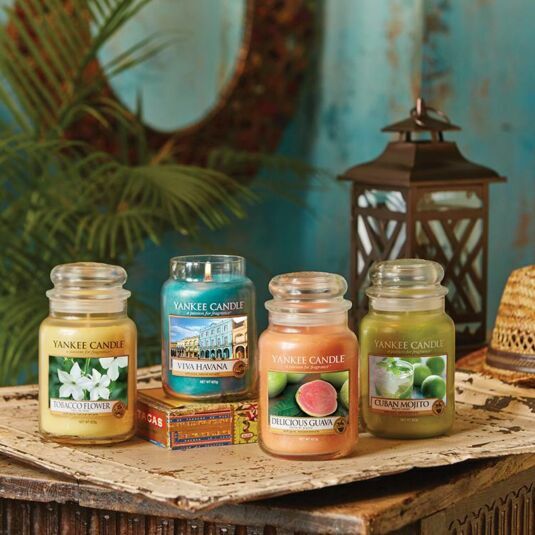 This Large Jar Candle has a burn time between 110-150 hours and brings a sense of exotic summer heat to the home, be it in the bedroom, the bathroom, the living room, or anywhere else. A fabulous gift for a friend or a treat for yourself.